Willow is Sunny's daughter. She has turned out to be the sweetest cat. Loves to be patted and loves to play. 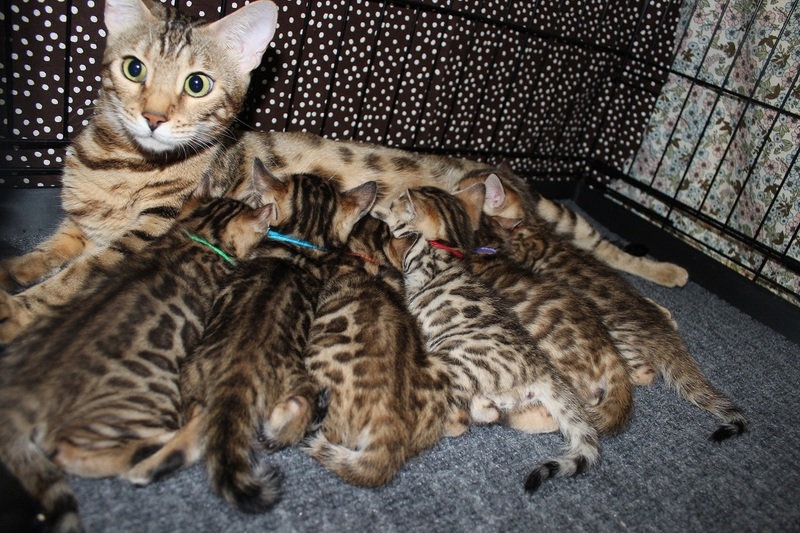 She passes those qualities down to her kittens as well as her open rosettes. She is a fiend when it comes to jumping. She reaches 5+ feet heights and does 1 1/2 flips.